Families want to travel. 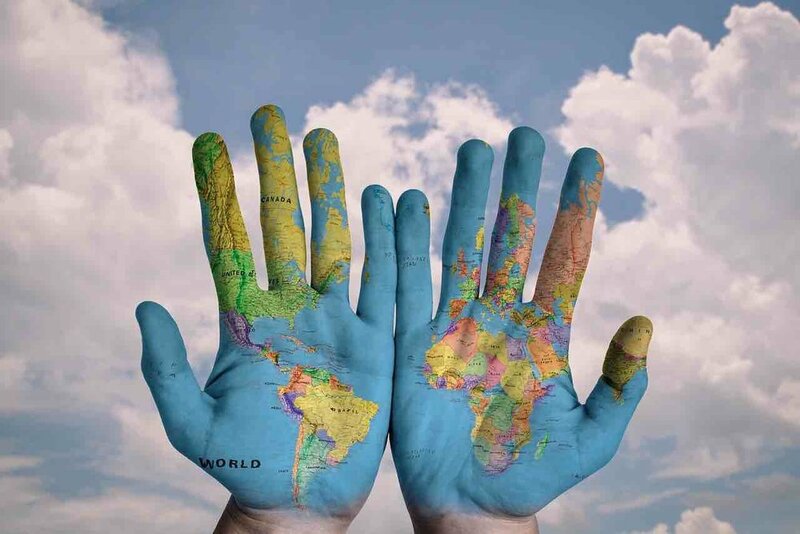 In the recently-released U.S. Family Travel Survey conducted by New York University’s Jonathan M. Tisch Center of Hospitality and the Family Travel Association, 79% of respondents said that their families are “likely or very likely” to travel in 2019. And while theme park and beach vacations continue to rank high, families are willing to travel differently. Once positioned as a seniors-only option, river cruising is an increasing popular choice for families. Adventures by Disney lead the way in this category by offering European river cruises aboard AmaWaterways’ ships. But now AmaWaterways is promoting its own, more budget-friendly itineraries to family cruisers. Its Christmas market cruises on the Danube and Rhine Rivers are especially popular with families looking for a holiday getaway. We think river cruises are a particularly good choice for extended families because the smaller ships are easier for grandparents - who may have mobility issues - to navigate. Plus AmaWaterways’ new ships have connecting cabins, making it more convenient for large families. KidTripster Tip: Get a peak at AmaWaterway’s new ship, AmaMagna, debuting in May 2019. It will be the widest on the Danube, complete with a small pool on the sundeck. 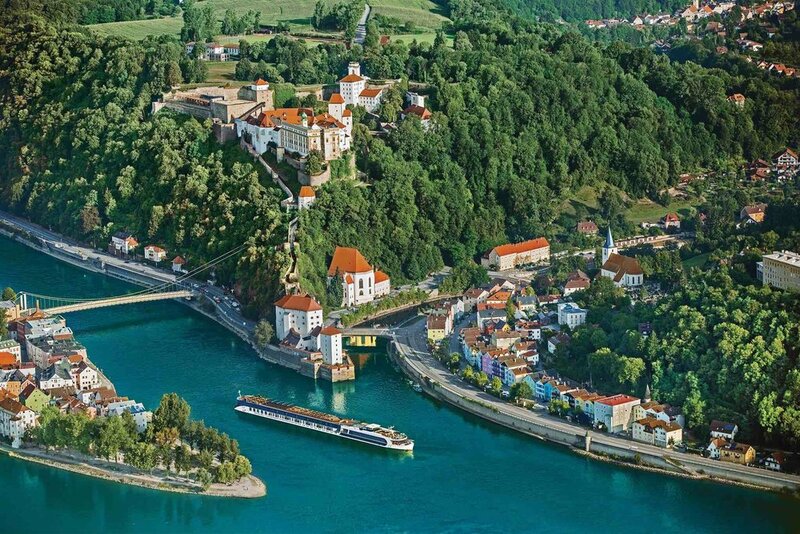 Tauck is another company that offers river cruises in Europe, especially designed for families. Teens are bound to enjoy the shore excursions like bike tours and hands-on cooking classes. Already done Europe? What about an AmaWaterways river cruise down the Mekong through Vietnam and Cambodia, one of KidTripster’s all-time favorite destinations? It’s a convenient way for more intrepid families to explore Southeast Asia. Once primed for a boom, tourists cooled on Cuba because of the uncertainty in regards to travel restrictions and requirements. But Cuba is open to Americans. You don’t have to go with a big group tour, but instead you can travel on your own or book a private tour. Cuba Candela is a private, luxury tour provider that customizes itineraries for families - everything from classic car rides and organic farm visits to beach days and family salsa lessons. And in 2019, you’ll have reason to dance in the streets as Havana will be celebrating its 500th anniversary. Cuba is very safe for families and visas are easy to obtain. Speaking of celebrations, Memphis marks its 200th birthday in 2019. But honestly, you shouldn’t need an excuse to visit this budget-friendly, southern gem. First there’s the city’s music - both past and present. Memphis is the home of the blues, soul, and rock ’n’ roll. Visit Elvis’ Graceland, head to Beale Street or catch a free outdoor concert. Second, you’ve got history. We think a visit to the highly-acclaimed National Civil Rights Museum is a must-do for all families. And then there’s plenty of outdoor adventures from kayaking to biking to playing at Shelby Farms Park, one of the largest urban parks in the USA with horses and bison! Oh, and don’t even get us started on the barbecue, served up with legendary Southern hospitality! It’s the great debate in Memphis: whose BBQ reigns supreme? Man, twist our arm. We’ll do a little research and get back to you on that one. In the meantime, we dare you to watch this video and not drool! With an average of 300 sunny days a year, what’s not to love about Portugal! With the overtouristing of cities like Barcelona and Venice, more and more visitors are heading to Lisbon and then using it as a jumping off point to explore the rest of the country. It’s far from undiscovered. Just last year, the number of American tourists skyrocketed by 35%. Part of the reason is that it’s easier than ever to get there. Direct flights are available from Boston, Miami, and New York, and during peak season (April through October), you can fly direct from Philadelphia and Washington, D.C.
Plus, Delta now flies direct to Portugal’s true hidden gem, the Azores - an archipelago sitting in the Atlantic about 900 miles from Lisbon. If your family is looking for a nature-focused, adventure-driven destination off the beaten path, book your tickets. Lastly, we want to call our favorite family-friendly resort chain in Portugal: Martinhal Family Hotels and Resorts. These five-star properties in Lisbon, Sagres, Quinta, and Cascais are superbly-designed for families: spacious rooms and villas, bunk beds, baby concierge service (read: someone does the laundry! ), well-supervised kids’ clubs, and endless activities. Honestly, a stay at one of these properties alone is worth the trip to Portugal! You may think that Iceland being named a “must-visit destination” is old news. You’d be partially correct. Ever since Icelandair started encouraging its passengers to share the #mystopover secret on Instagram, tourists have flocked to this stunningly beautiful Nordic country. Last year, a record-setting number - more than 2.2 million foreigners - visited Iceland. Most of them likely traversed the Golden Circle and took selfies in the Blue Lagoon. Well, we’re here to tell you that they missed the best bits of this island. To truly experience Iceland, you and your family need to stay longer and travel farther. We’d recommend touring with a company like Hidden Iceland that organizes small, guided trips off the beaten path… and onto a glacier. For example, its two-day trip to Jökulsárlón Glacier Lagoon explores the southern coast of Iceland. You’ll hike on Vatnajökull Glacier and marvel at the thunderous power of Seljalandsfoss and Skógarfoss Waterfalls. Or if you really feel like getting away from it all, you can head to far-flung Westfjords with its abundant wildlife and unique, red sand beaches on a four-day adventure. KidTripster Tip: While the vast majority of visitors go during the summer, the winter here is magical. Experience the North Lights or explore the depths of one of Iceland’s largest ice caves, only accessible November through March. If you’re looking for the best value for a family vacation in 2019, look south. Flights to Mexico are plentiful and relatively inexpensive. But the real bargain? The 4- and 5-star accommodations. The Caribbean side of Mexico - areas like Cancun, Cozumel, Playa del Carmen, and Tulum - have seen a tremendous amount of development, including several family-friendly, all-inclusive resorts. While it’s not the newest resort, we’re big fans of Finest Playa Mujeres and the off-the-charts kids’ programs. Read our review here. KidTripster Tip: Mexican resorts do a particularly good job of catering to families of 5+ with larger rooms and more configurations. Looking for activities beyond the beach in Mexico? We recommend visiting the Mayan ruins of Chichen Itza and swimming in the cenotes in Tulum. Read more about why our KidTripster Teen loves Tulum here. Finally, a shout out to people of Puerto Rico and the U.S. and British Virgin Islands who continue to need the support of tourists’ dollars as they recover from the hurricanes of 2017. Many resorts are open and ready for your business. Few countries on the planet offer as much biodiversity as does Costa Rica. And because it’s not that big - only twice the size of Maryland - you can easily visit several areas during a week-long trip. Marvel at Arenal Volcano, explore a rainforest, and then lounge on the beach. And don’t forget about the amazing wildlife viewing: colorful, large-billed toucans, slow-moving sloths, and nesting turtles… or if you time your visit right, see those baby turtles head to the sea! Plus Costa Rica has long been a leader in soft adventure travel (think ziplines through the jungle), especially well-suited to young families. If you’re looking for help in planning a Costa Rican adventure that’s just perfect for your family, we recommend Costa Rica Family Holidays. This tour company has a tremendous amount of experience in customizing small group tours for families with young children, families with teens, and families traveling with Grandma and Grandpa. In addition, it’s committed to making travel accessible for everyone and works to design tours for families with special needs. In fact, Costa Rica does a good job of making its beauty and adventure available to all. Read about our KidTripster Teen’s favorites in Costa Rica here. If your family is looking to go even deeper and experience a more off-the-grid location, think Panama. In particular, we want to call out a new resort, Morrillo Beach Eco Resort. Perfect for teens, a vacation here allows your family to immerse yourself in Panamanian culture - from cooking traditional cuisine with the owner to spending the day with a local family in a remote village. And did we mention that you can surf everyday - novice and experts alike - right off the property’s beach? Cool, dude. The iconic Space Needle just underwent a $100-million “spacelift” renovation to give visitors a clearer view of what makes Seattle a great American city and worthy of a visit from your family. The hip-high, half walls and wire caging have been replaced by floor-to-ceiling windows, giving unobstructed views of the Puget Sound, Lake Washington, and Mount Rainier. The new Skyriser glass benches - though inward-facing - give visitors the impression that they’re leaning out over the city. And the 500-Foot Level features The Loupe, the only revolving glass floor that yields a view of the city below. But a visit to Seattle is about way more than just the Space Needle. At the foot of the Needle, you’ll find our favorite art museum in the world for families - Chihuly Garden and Glass. Granted, breakable glass art doesn’t seem like an obvious choice for families with curious toddlers, but we promise that your kids will be so mesmerized by the shapes and colors that they’ll keep their hands to themselves. And don’t miss the opportunity to visit the Boeing factory just north of the city. After seeing airplanes made right in front of you, you’ll never look at air travel in the same way. Check out our weekend itinerary for families where we celebrate all-things-in-the-air. We’ve also highlighted our picks for the top 10 activities, top 10 hotels, and top 10 eats in Seattle, all kid-tested and mom-approved by our local KidTripster writer. While you’re in the area, take a few days to discover off-the-radar Olympic National Park. Read our suggestions about what to do here. If the phrase, “Winter is coming,” means something to you, then this next destination is for you! HBO announced earlier this year that even though the epic Game of Thrones series has finished filming, it plans to open several of its filming locations in Northern Ireland to tourists in 2019: Winterfell (which is actually Castle Ward in County Down), Castle Black (which is actually a quarry in Magheramorne), and King’s Landing near Armoy. Each location will feature costumes, props, and sets. Plus you’ll be able to take a studio tour of Linen Mill Studios. Not all the details have been announced as of this writing, but look for updates on the Game of Thrones Legacy project on social media. KidTripster Tip: You can visit many other shooting locations on your own. Here’s a list. That being said, you don’t have to be a fanatic Thronie to appreciate the beauty of Northern Ireland. On the must-see list? Giants Causeway, Carrick-a-Rede Rope Bridge, and Titanic Belfast. KidTripster is headed to Ireland and Northern Ireland this spring, so look for our family-tested itineraries in June. KidTripster Tip: If you are a fan, combine a trip to Northern Ireland with a stopover in Iceland - home to the Lands Beyond the Wall - on Icelandair. We recently booked tickets and saved more than $900 by using our partner AirTreks. If you book using this link, KidTripster gets some coffee money from AirTreks at no additional cost to you. Thanks for the support! The Land of the Rising Sun is moving up the ranks in terms of family travel. Why? Japan offers incredible diversity. Teens are drawn to the electricity of Tokyo and its manga and cosplay culture plus endless shopping. There’s the beauty of Kyoto and her temples. There’s the difficult history that should be experienced in Hiroshima and Nagasaki. There’s the intriguing Japanese culture itself - from staying in a traditional ryokan to unforgettable food experiences. And it’s a destination that has draws year-round - from world-class skiing in the winter to celebrating the cherry blossoms in the spring. To get you started, read our KidTripster Teen’s articles on must-do activities, must-eat foods, must-know etiquette, and must-learn phrases. KidTripster Tip: If cost isn’t a factor, check out Adventure by Disney’s new 11-day Japan itinerary. KidTripster Tip: Make sure you give yourself enough time to explore outside of Tokyo. We’d recommend a total of two weeks to be able to experience the country from north to south. You’ll find that it’s well-connected by train. The historic Apollo lunar landing on July 20, 1969, paved the way for future U.S. space exploration. You’ll find those attractions with a connection to the moon landing will be celebrating the 50th anniversary this year with special offerings. It’s an excellent excuse to visit the U.S. Space and Rocket Center in Huntsville, Alabama and maybe even sign up for family space camp. Or head to the Space Center in Houston where you can have lunch with an astronaut. Or watch an actual rocket launch at the Kennedy Space Center in Florida. The sky’s the limit! Finally, don’t forget about the Smithsonian Institution’s National Air and Space Museum in Washington, D.C. If you travel to one of our Top 10 Destinations in 2018, be sure to tag #kidtripster on social media. We’d love to feature your photos!